Chimamanda called on us to appreciate the human universality while acknowledging there are differences that affect each of us in different ways. Finally, she revealed that she was not on social media. Fiction author Chimamanda Ngozi Adichie poses with her book "Half of a Yellow Sun". On March 10, award-winning Nigerian author Chimamanda Ngozi Adichie was in conversation with her British counterpart, Reni Eddo-Lodge at WOW 2018. Here is some of what she had to say. Chimamanda went on to describe what colonialism had done to African minds. We are not teaching our children our languages and we are telling them we have shrouded the idea in shame! So, it is uncool and remarkable when you speak your mother tongue. Yet, this should be expected, not shocking. When we think of things that are native to us, “we use the language of the coloniser. Words like ‘tribal’; we borrow the language of other people and use it for yourself,” Chimamanda admonished. Does that make Africans free or is colonialism ever present? Conversely, Chimamanda acknowledged there is a sense in which identity is forced on the individual. One has no choice but to pick the identity one is given with all its history, baggage and preconceived notions whether one likes it or not. Given the option, how many of us would choose a different identity? Yet whichever one picks, it will have its own burdens for one to grapple with. In the same vein, the problem with self-imposed identity is the social meaning given to it rather than the identity itself. Initially, Chimamanda did not identify as or indeed want to be black in America because it came with baggage. She recalled recoiling after an African-American man called her sister. She thought it was an indictment of racism. “Why was I running away from blackness if blackness is benign?” Chimamanda wondered. To overcome this, she started reading about black history and to embrace this new identity, by recognising not being a descendant of slaves made her experience different. And therein lay the lesson that if the different communities of Kenya were to embrace this wisdom, they, too, would be more inclusive of each other and ethnicity would be a thing of the past. Chimamanda admitted she did not think of herself as being black until she went to the US. “Nigeria didn’t need me to think of myself as black. We have problems but race in that sense is not one of them. So, in Nigeria we are busy saying Yoruba! Igbo! We don’t do race,” Chimamanda said. How this rings true for most of Africa! We view everything from the environment, water and social media from the lenses of ethnicity, yet when one goes abroad they are suddenly black and their ethnicity becomes immaterial. This realisation was a learning experience. “I had come from a place where authority figures were black. Where black achievement was normal.” In contrast, in the US, Chimamanda quickly learnt black achievement was remarkable and extraordinary. How we sometimes take this for granted. Despite being a fiction writer, she was keen to talk about issues she cares about. Here lies a call for Kenyan writers, do you speak on ongoing social issues or is your goal only to publish a bestseller? “Some fiction writers don’t want to talk about social issues and that’s fine. 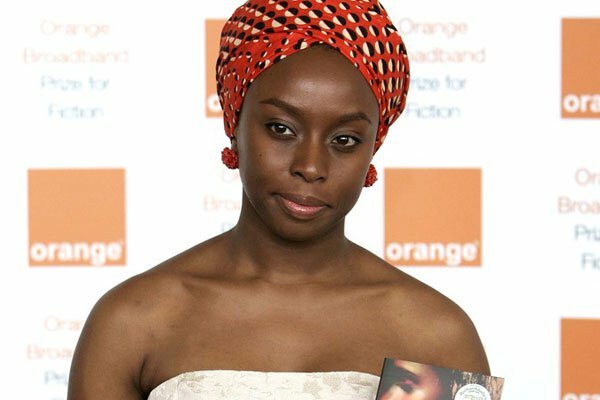 Some just want to focus on the art,” said Chimamanda. But is that enough? If you have a platform and an audience, shouldn’t you use it for the greater good and quell the ongoing negative rhetoric? Chimamanda also wants to talk about love and emotion; how complex this is and how flawed we are. “Often you are looked at and people see what you represent; they are not really seeing you,” she said. Oh, how often you are a community or a generation and seldom an individual. But even when writers are free to choose, society burdens them. Chimamanda said when an author writes on an issue, he or she is suddenly expected to have all the answers and solutions. “And while you are having the solution you are supposed to cater to the emotional needs of people who are listening to you,” she said. How does she deal with it? She smiles, puts on her sunglasses and walks away. Sometimes. She tries to remember that a lot of the people are anxious, uncertain and come from a place of fear. She also makes a concerted effort to be honest. If people project what she does not believe in she will tell them she does not agree. In her book, Americanah, she says she was strategic and deliberate about race. She wanted to convey her message with clarity and without the cloud of nuance taking away the intended meaning. Nuance often in the subject of race negates honesty and truth, and she was conscious the norm for writing about race in America required nuance. “Things aren’t said, they are subtle, often becoming unrecognisable,” she remarked. To get the honest truth about race in the book, she thought of having her character become a newspaper columnist. But, she would have an editor who would remove those things. She opted for a blogger instead saying: “There is an immediacy to blogging, you have a platform and you have an audience.” Through the blogger, Chimamanda could talk about race from the point of view of a person who is black but not American. In the absence of nuance, the blog would freely talk about blackness, its diversity and how to embrace it. There has been an ongoing debate on writers having sensitivity to readers in the US. Chimamanda considers this to be terrible for art. “We should have a certain kind of honesty and not sugar coat,” she said. As readers, we should also know a writer’s stand on issues. An evening with Chimamanda would not be complete without an offering of feminism. “There is a certain kind of youthful social media feminism that comes with a certain kind of jargon that does not feel organic,” she said. Don’t get swept away by academic arguments. Instead, concentrate on how to make changes even if they are incremental. For example, how do we ensure women have full autonomy of their bodies? Chimamanda called on us to appreciate the human universality while acknowledging there are differences that affect each of us in different ways. “Some people are suited to these media things, I am not,” she remarked. She acknowledged while social media can be useful, there is an undertone of ugliness. “People say things they would never say to you. Sometimes thing they do not even believe,” she observed.